Lil Noonie and Lil Flash Live at the Love Show! 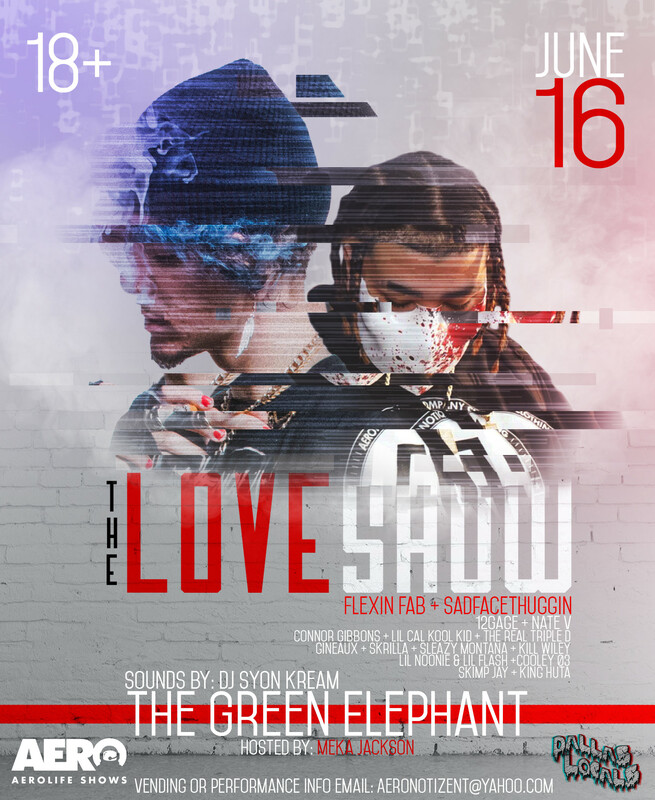 JUNE 16: FLEXIN FAB & SADFACETHUGGIN Live at The Love Show in Dallas! W/ Support from Nate V, 12 Gage and Connor Gibbons! Sounds by DJ Syon Kream!